Draft: 2014, Atlanta Braves, 18th rd. Selected by the Braves in the 18th round of the 2014 First-Year Player Draft…Signed by Terry Tripp. Combined to go 3-4 with a 3.15 ERA (19 ER/54.1 IP) and 18 saves over 51 games between Double-A Mississippi and Triple-A Gwinnett ... Led all Atlanta farmhands with 18 saves, and ranked third in the system (min. 40.0 IP) by allowing just 6.0 hits per 9.0 innings ... Struck out 69 batters in 54.1 innings (11.4 SO/9.0 IP), and has fanned 205 hitters in 166.1 career minor league innings (11.1 SO/9.0 IP). Set career highs in wins (5), games (38), innings (65.1) and strikeouts (74) while going 5-2 with a 2.07 ERA (15 ER/65.1 IP) between High-A Florida and Double-A Mississippi ... Ranked in the Top 10 among Atlanta relief prospects (min. 30.0 IP) in strikeouts (4th, 74), ERA (5th, 2.07) and hits per 9.0 innings (5th, 6.3). Returned to action after missing the 2015 season and made 14 appearances between rookie-level Danville and Single-A Rome, combining for a 4.85 ERA (7 ER/13.0 IP) with two saves ... Fanned 31 batters in 13.0 innings of work, and his 21.5 strikeouts per 9.0 innings were most among Atlanta farmhands ... Struck out 12 consecutive batters over four straight 1.0-inning outings from 7/11-24, part of a run in which he struck out 20 of the 25 batters he faced from 7/11-8/11. Missed the season after undergoing "Tommy John" surgery on 4/2, performed by Dr. Xavier Duralde in Atlanta, GA.
April 14, 2019 Atlanta Braves recalled RHP Jacob Webb from Gwinnett Stripers. March 12, 2019 Atlanta Braves optioned RHP Jacob Webb to Gwinnett Stripers. November 20, 2018 Atlanta Braves selected the contract of Jacob Webb from Gwinnett Stripers. November 20, 2018 Estrellas Orientales placed RHP Jacob Webb on the reserve list. October 13, 2018 RHP Jacob Webb assigned to Estrellas Orientales. June 9, 2018 RHP Jacob Webb assigned to Gwinnett Stripers from Mississippi Braves. February 27, 2018 RHP Jacob Webb assigned to Atlanta Braves. July 12, 2017 RHP Jacob Webb assigned to Mississippi Braves from Florida Fire Frogs. April 4, 2017 RHP Jacob Webb assigned to Florida Fire Frogs from Danville Braves. July 9, 2016 RHP Jacob Webb assigned to Danville Braves from Rome Braves. July 2, 2016 RHP Jacob Webb assigned to Rome Braves from Danville Braves. June 23, 2016 RHP Jacob Webb assigned to Danville Braves from GCL Braves. September 30, 2015 GCL Braves activated RHP Jacob Webb from the 60-day disabled list. June 22, 2015 GCL Braves placed RHP Jacob Webb on the 60-day disabled list. June 22, 2015 GCL Braves placed RHP Jacob Webb on the temporarily inactive list. June 24, 2014 RHP Jacob Webb assigned to GCL Braves. 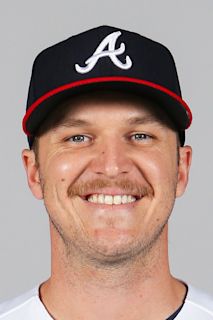 June 11, 2014 Atlanta Braves signed RHP Jacob Webb.